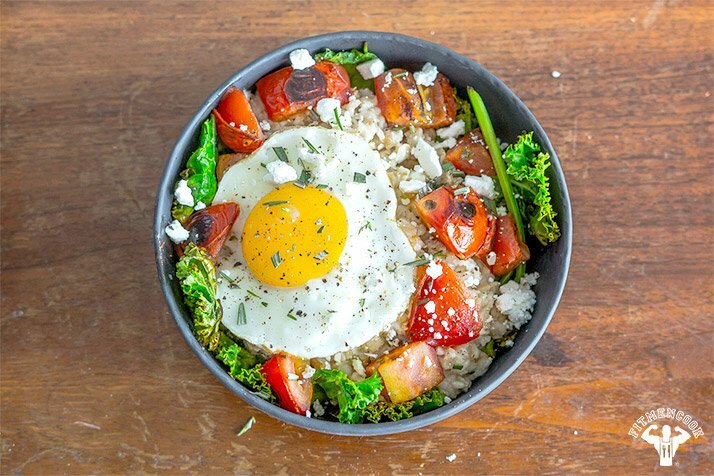 Trade in boring, microwave oats for the real deal with these tricked-out recipes. We've all heard it before—when it comes to complex carbs, oatmeal tops the "safe-food list" on most meal plans. 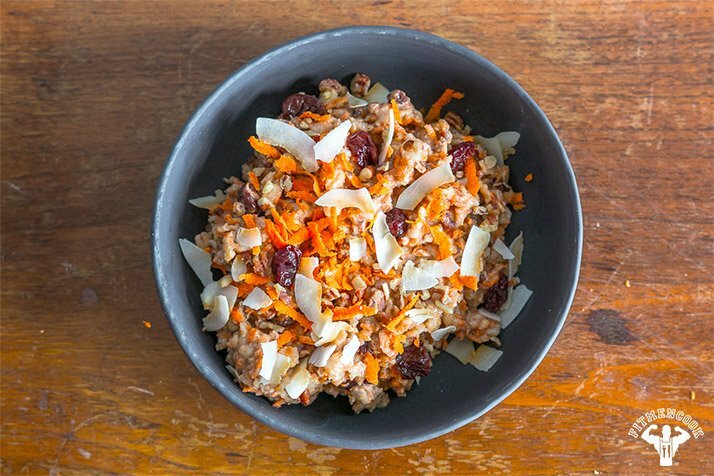 Often lumped together with sweet potatoes and trendy grains, oatmeal is a well-accepted breakfast stable. But oats have so much more to offer than simply being boiled in hot water and sprinkled with a bit of cinnamon in an attempt to salvage the taste! Breathe new life into this boring, beige dish and add color to your meal plan. 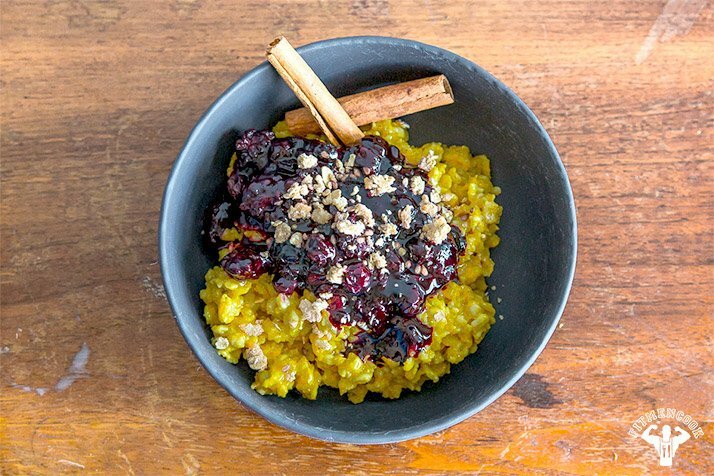 These sweet and savory recipes prove oatmeal's not just for breakfast. Looking for a muscle-building dish that packs a savory punch? 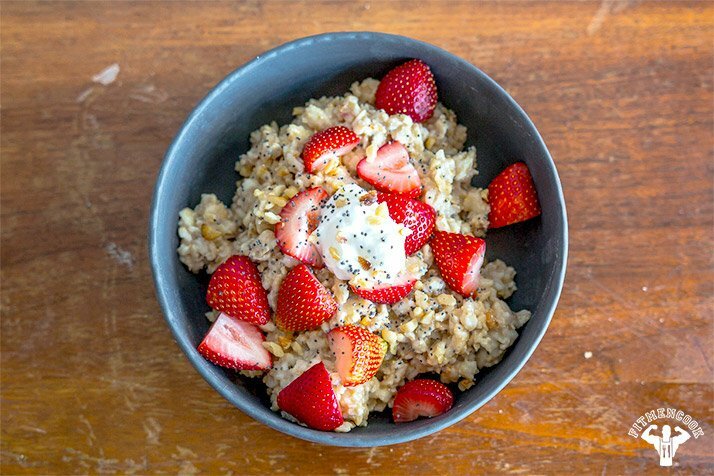 Loaded oatmeal could be just what you're craving. 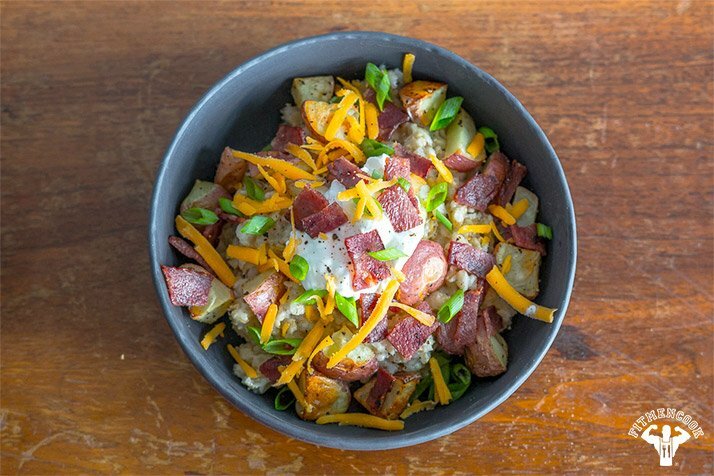 Topped with turkey bacon, cheddar cheese, and red potatoes, this dish is a savory mountain of a meal. To carb up for heavy training days, just add a few more potatoes or extra oats for a muscle-building masterpiece. Who doesn't love a good slice of carrot cake? This dessert-like oatmeal dish takes the spicy, spongy cake and turns it into an easy anytime treat. The dried, unsweetened cranberries pack a lot of sweetness without destroying your macros. So go ahead, and dig into a guilt-free bowl! Warm berries over a bed of oats never tasted this good—this recipe happens to be my personal favorite on the list. It captures the indulgence of a warm, perfectly seasoned dish without the full-fat piecrust topping or the cloyingly sweet berry compote. You'll see Popeye-like with this oatmeal! Your favorite cartoon hero downed a can of the green stuff when he needed a boost of energy; I'm packing in both spinach and kale to get you swole. Both of these superfoods are chock-full of vitamins and minerals, making this dish strong enough to eat by itself or serve as a side dish with some lean protein. It'll help you go strong to the finish! 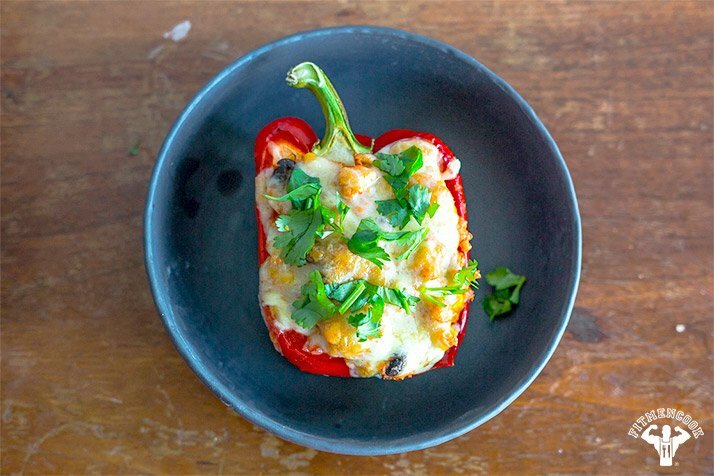 Stuffed peppers aren't just for ground meat. Swap your lean protein for a carb-packed pepper by using oatmeal as your filler. This vegetarian-friendly take on the classic dish adds a protein punch with black beans and Greek yogurt, while keeping all the classic flavors with shredded cheese and seasonings like paprika and cumin. One taste, and you'll be hooked.